However, the loss in work income is mitigated by public income transfers provided by ACC, other benefits and New Zealand Superannuation, so the average total income losses are much less overall at between three and seven per cent. Senior Research Fellow at the University of Otago's Injury Prevention Research Unit, Dr. Rebbecca Lilley, says the research she and her colleague, Injury Prevention Research Unit Deputy Director Gabrielle Davie carried out highlights the importance of the social welfare safety nets New Zealand currently has. "If those welfare and ACC supports are eroded, the impacts would be much greater at a time when workers do really need to be saving for their future retirement," Dr. Lilley says. 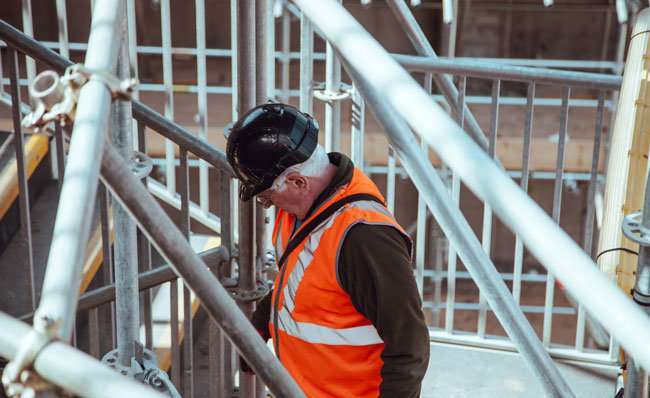 Using Statistics NZ's Integrated Data Infrastructure, the researchers identified a cohort of 617,722 workers aged 45 to 64 years, of whom more than 20,000 had a substantial work or non-work injury in 2009. They followed the cohort for three years and found income reduced over that time with the losses greater for those that were injured. In the third year, those injured received on average NZ$2,630 less than the comparison group, equivalent to a seven per cent drop in income. Persistent earnings losses after a work injury have been reported in New Mexico, United States, with injured workers experiencing a 15 per cent loss of earnings three years after injury. While the average total earnings loss of seven per cent in the New Zealand study is low in comparison, the researchers say the difference is likely to be explained by workers' compensation benefits not being included in the US study's estimates. The majority of those injured were male with a higher percentage of Māori and those employed in the construction and manufacturing industries. A lower percentage of people of Asian ethnicity, those employed in the education and training industry, those in the least deprived category and from Auckland and Wellington were among those injured. It is the first time that research has been carried out looking at the financial impact on older workers in New Zealand who are injured. The research has just been published in BMJ Open. Like many developed nations, New Zealand's working population is rapidly ageing which has implications for the burden of injury and subsequent injury-related disability in New Zealand. By 2023, one in three of New Zealand's workers will be aged over 45. Dr. Lilley says given the country has an ageing population and people are increasingly continuing to work past the traditional retirement age, it is important that workplaces do everything they can to help get people back to work as soon as possible. "Older workers are renowned for being a highly reliable and engaged workforce and given we have a rapidly ageing workforce and future employment shortages, it's vital that workplaces really engage with improving working conditions to encourage their workers to get back to work more rapidly." The researchers say the loss of future earnings potential at a time when older workers need to be preparing financially for retirement is concerning and needs to be understood further.